Why do African insects dehydrate themselves to survive droughts? 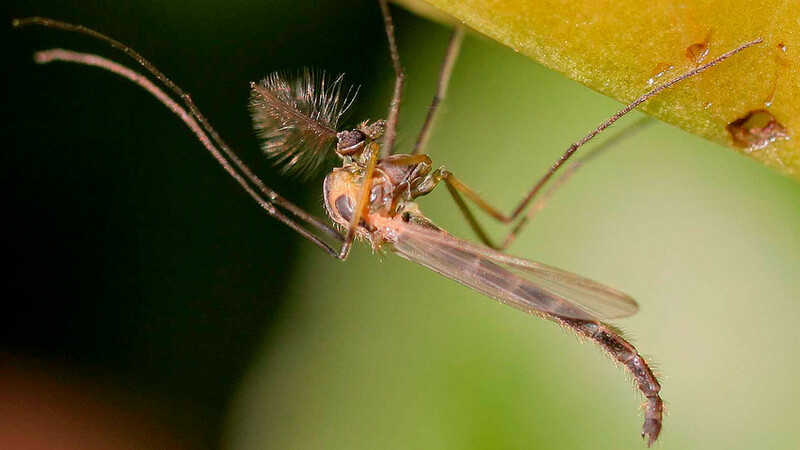 A team of Russian and Japanese scientists investigated the mysterious process by which the resilient African fly, Polypedilum vanderplanki, can survive periods of drought in its native Nigeria and Uganda. The results are startling. Human is not the only creature in the world who goes on a diet in order to look and feel better. The Polypedilum vanderplanki, whose appearance is closer to a mosquito, is in fact a non-biting insect living in arid regions of Africa. Scientists have discovered that it dehydrates to three percent water content by weight in order to survive extreme conditions. The insect has adapted a protein to help it survive very dry conditions. The recent findings elucidate some of the mysteries of the dehydration process, and demonstrate how the conservative protein has obtained a new function. Like the common moth, the Polypedilum vanderplanki’s larvae live in the mud at the bottom of puddles. To survive under such conditions, they enter a state of anhydrobiosis – a condition whereby an organism dehydrates nearly completely and ceases fundamental physiological and biochemical processes. To enter this state, the larvae replace the water in their bodies with trehalose, a disaccharide made up of two molecules of glucose. In this state, the larvae can exist for years and remain resistant even to liquid nitrogen and acetone. Until now, however, it was unclear how the genes responsible for this dehydration process were regulated. Thanks to their research, the Russian-Japanese team isolated the protein that activates the genes that help Polypedilum vanderplanki larvae enter anhydrobiosis. "The Polypedilum vanderplanki actually took the protein from their own organisms and adapted it for its unique needs," said Pavel Mazin, researcher at the Moscow-based Skoltech and the study’s lead author. "This is an amazing example of the plasticity of regulatory systems – especially such conservative ones." Scientists used bioinformatic analyses for predictions, and later confirmed their findings with experiments. The results of their study were published in PNAS. In particular, they discovered that one of the central players in the process is the heat shock-protein activator, a protein whose functions are well known in many living organisms. Typically, this protein triggers a protective response to stress – a role it performs in a broad range of organisms, from yeast to man. But Polypedilum vanderplanki adapted the protein to serve its own survival needs. According to Mazin, the research is only the first step. "The protein activates about 30 percent of the genes involved in the dehydration of the larvae," the scientist said. “What activates the rest of the genes and how the reverse process is regulated – the larvae’s exit from this state – remains to be resolved."